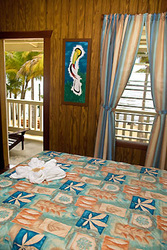 Pelican Beach Resort "Our Belize Vacation" - "Our Belize Vacation"
Owned and operated by Belizeans, for over four decades. 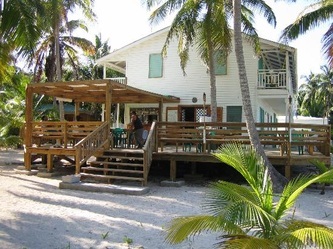 Pelican Beach Resorts and the Bowman family have been active in cultural, community and conservation issues in Dangriga and throughout Belize. We are committed to Belize's development in a sustainable and responsible manner. 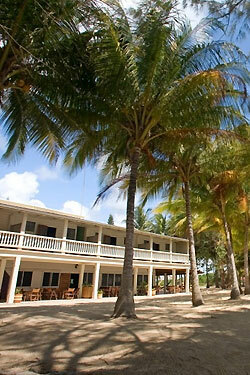 Pelican Beach Resort was the brainchild of retired citrus farmer Henry Bowman Sr. (poularly known as "HTA"). 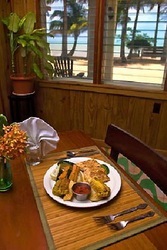 Construction on the hotel began in 1969, and Pelican Beach opened for business in 1971 with 10 rooms and a restaurant and bar. 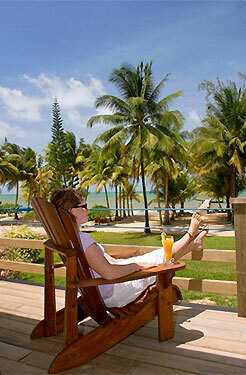 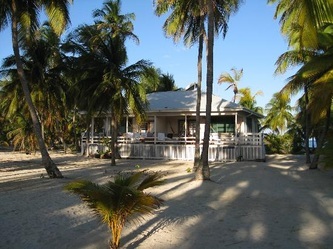 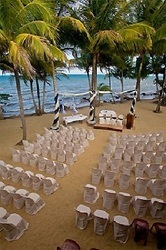 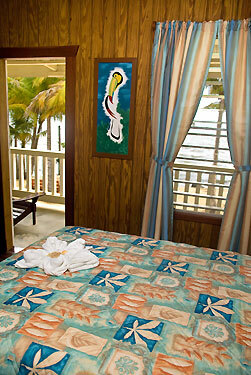 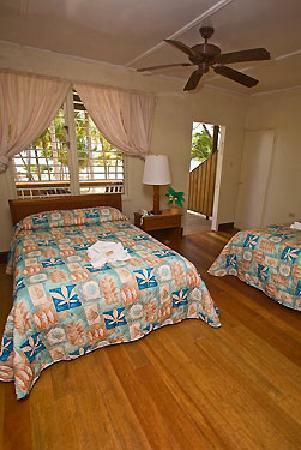 At first, tours were only offered to the family's modest vacation home on the island of South Water Caye. 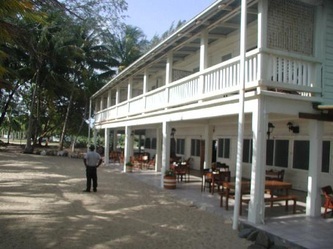 Dangriga (then called Stann Creek Town) was little known as a tourist destination. This soon changed as the enthusiasm of Henry Bowman Jr. and his wife Alice, coupled with their considerable management and cooking skills, coaxed a steady stream of researchers, student groups and families to visit. Dangriga (then called Stann Creek Town) was little known as a tourist destination. 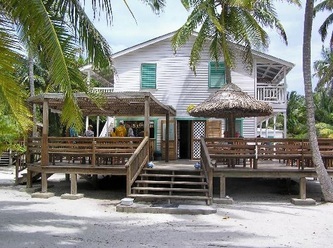 This soon changed as the enthusiasm of Henry Bowman Jr. and his wife Alice, coupled with their considerable management and cooking skills, coaxed a steady stream of researchers, student groups and families to visit. A private airstrip built adjacent to the hotel was the main conduit for visitors, who were flown in from Belize City in a four seater Cessna 182. 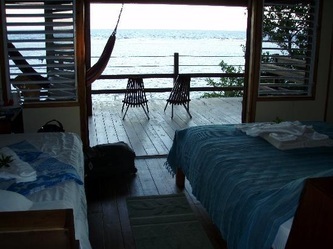 The airstrip was later donated to the town by Pelican Beach Resort and is now the Dangriga Municipal Airstrip, accommodating hourly flights every day. 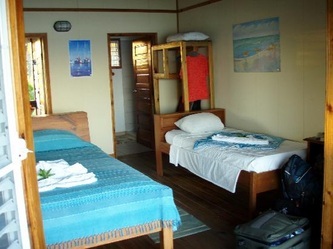 Other guests arrived via the Hummingbird Highway in taxis, buses and open-backed trucks. 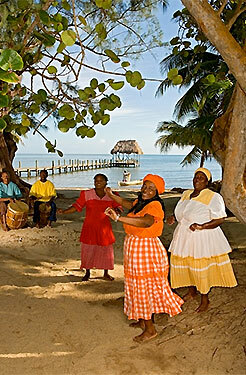 At night, by the light of a beach bonfire, visitors shared the music and culture of the Garifuna people. 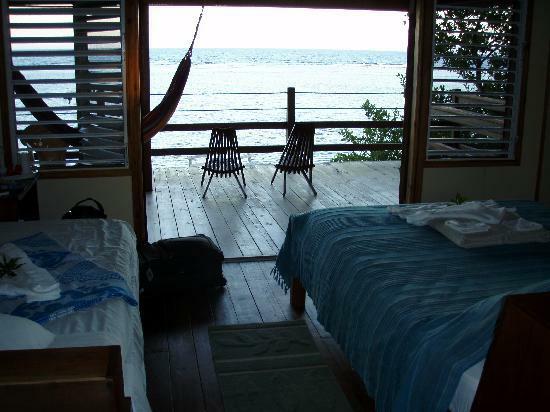 By day they took tours to the offshore reef, the Mayan temples in the west and the rainforest in the south; or engaged in such popular activities as fishing, snorkeling and bird watching. Enjoy spacioWith architecture reminiscent of Belize's colonial past, colorful tropical gardens, sprawling verandas, and shaded dockside palapas, Pelican Beach Resort. Dangriga is filled with old world charm. 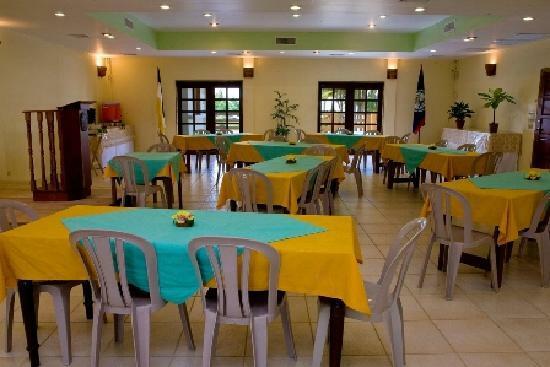 us, airy rooms in warm colors and your own private veranda overlooking the Caribbean Sea when staying at Pelican Beach Resort - Dangriga! 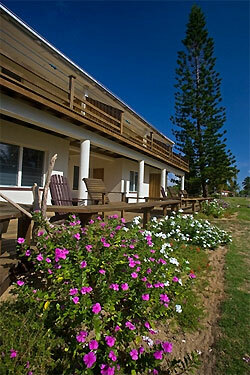 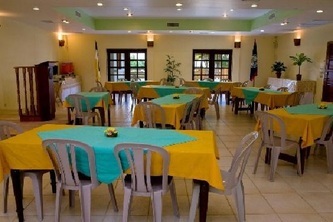 Whispering Pines is the main lodge with 8 rooms on the second floor. 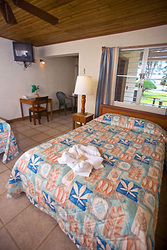 The Ixora is across the lawn on the north with 4 A/C rooms on each of 2 floors. 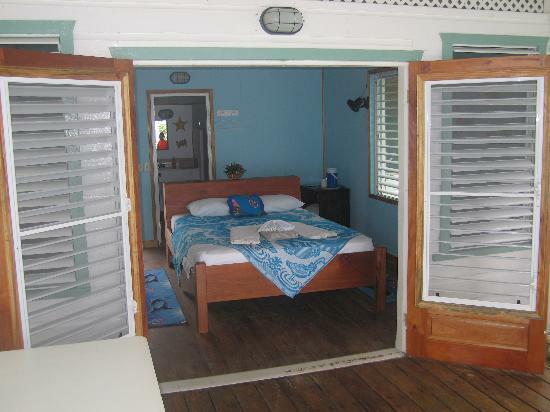 4 ceiling fanned rooms facing the sea.